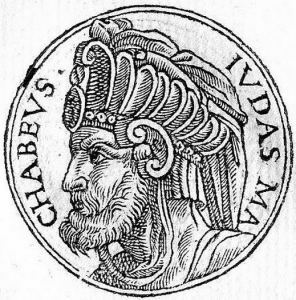 After massive assimilation of Jews to the Hellenistic lifestyle, the Greek-Seleucid king Antiochus decided to put an end to traditional Judaism for good. He outlawed Shabbat and holiday observance, banned circumcision and Torah study. The Temple in Jerusalem was captured and a statue of Zeus erected within it. Antiochus planned to seal the deal with a request of the Jews to sacrifice a pig to the Greek gods. Incredibly, many Jews agreed, wooed by Hellenism. But one man, Matityahu, stood up for the truth and declared “Even if all the nations that live under the rule of the king obey him, I and my sons and my brothers will live by the covenant of our fathers… Follow me, all of you who are for God’s law and stand by the covenant.” Thus started what may be the world’s first religious war. 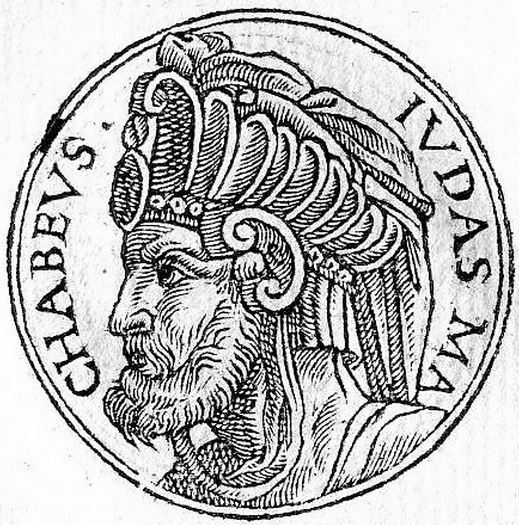 Matityahu and his five sons organized a rebel army based in Modi’in, led by Matityahu’s son Yehuda, nicknamed Maccabee – “the Hammer”. The war lasted nearly 30 years. At its height, the Maccabees had no more than 12,000 fighters, while the Greeks had a massive professional army with war elephants (under which Judah’s brother Elazar was trampled in a heroic feat). Meanwhile, children carried small spinning tops to conceal the fact they were secretly learning Torah. Two great miracles occurred: the Jews defeated the world-superpower Seleucid Greeks, and when they reclaimed the Temple and purified it of idolatry, one kosher jug of oil burned for 8 days. 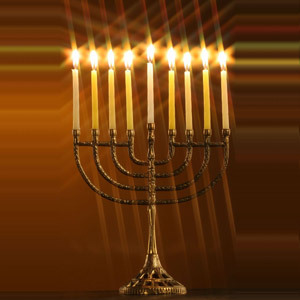 Light was restored to the Jewish people. A Jew is a lamplighter. The lamplighter walks the streets carrying a flame at the end of a stick. He knows that the flame is not his. And he goes from lamp to lamp to set them alight. This entry was posted in Religious Leaders and tagged Army, Chanukah, Circumcision, Dreidel, Elephants, Greek, Hellenism, Holidays, Jerusalem, Kosher, Light, Maccabee, Modi'in, Olive Oil, Seleucid, Shabbat, Syria, Temple, Torah, War on December 21, 2011 by Jew of the Week.